Bob & April Monteleone met at an Open Mic show Bob was hosting about 12 years ago and have been making beautiful music (AND boys: Miles & Coltrane) ever since! 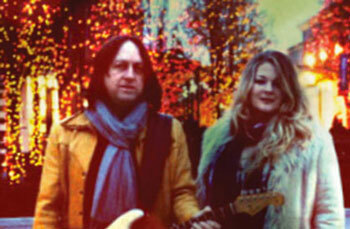 They perform throughout Metro Detroit and southeastern Michigan as a duo, and sometimes as part of Acoustic Madness. They are also members of Hanzie Records’ reggae group The Belle Islanders. Bob has been one of the busiest working guitar players in the Metro Detroit area for the last 20 years. Bob & April Monteleone met at an Open Mic show Bob was hosting about 12 years ago and have been making beautiful music (AND boys: Miles & Coltrane) ever since! They perform throughout Metro Detroit and southeastern Michigan as a duo, and sometimes as part of Acoustic Madness. They are also members of Hanzie Records’ reggae group The Belle Islanders. Bob has been one of the busiest working guitar players in the Metro Detroit area for the last 20 years. He was a member of influential reggae group Black Market, as well as The Look, Raggamuffin, Billy Craig, and many others. In 2002 he founded Hanzie Records to release the Luck & Trouble debut MALFUNCTION JUNCTION with the Refreshments’ Brian Blush. He has since released and been a part of and produced various bands like The Stumbling Mice and The Belle Islanders. He has produced all of Dave Edwards’ solo work. April has sung on a lot of studio sessions at Tree Farm & Nothing Fancy studios through the years. She appears on the Stumbling Mice debut disc as well as many Dave Edwards tracks, especially the internationally viewed video of “I Found Love”. She also appears on many Robert Thibodeau recordings in the last few years. 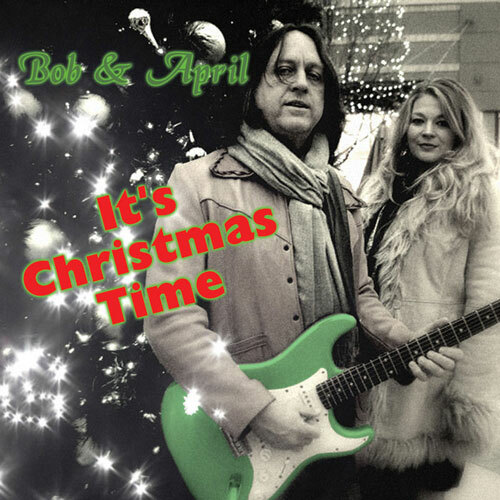 Bob & April released IT’S CHRISTMAS TIME in November, 2012 to rave reviews and are hard at work on their first official, non-holiday release at Sterritt Sound for Hanzie Records. Bob & April also hosted a weekly live music internet podcast at the UDetroit Cafe in Detroit from 2010-2012.